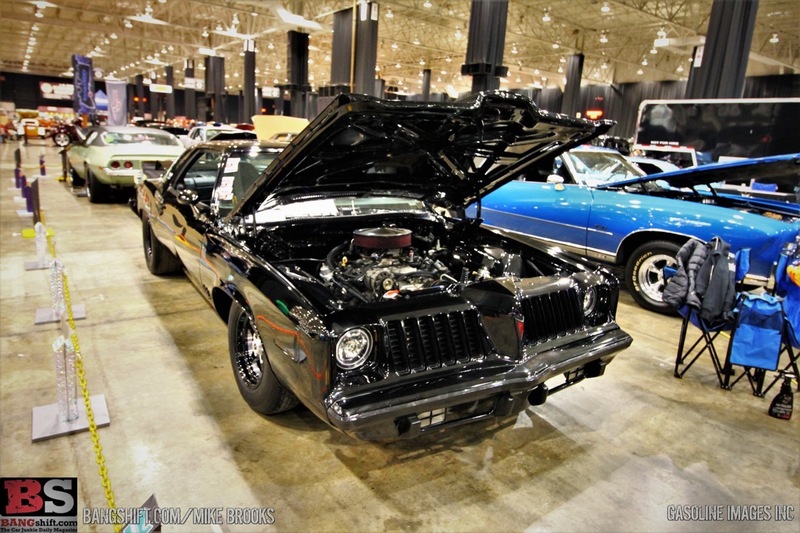 (Photos by Mike Brooks) – We’re back with more of the awesome and incomparable Piston Powered Expo in Cleveland. This show is open to everything and anything that is powered by a piston engine and if you think we’re kidding, this collection of photos alone will prove that point. You are going to see vintage trucks, modern trucks, hot rodded trucks, muscle cars, weirdo customs, and a road grader. Yes, a freaking road grader! The great consensus here is the fact that car guys and girls like way more stuff than people give them credit for. You can’t tell us that some muscle car freak did not take a couple of minutes and drool over that Mack truck or that the Mack truck guy did not have googly eyes when looking at some of the 1960s iron that you will see here. One of the coolest shows in the country, we’ll be back with more photos tomorrow. Until then, enjoy these! 2019 NHRA Gatornationals Sportsman Action Photos: Beautiful Cars, Horrible Wreck Transportation Unlimited: This 1949 Chevrolet Film Highlights An Incredible Array Of 1930s and 40s Chevy Heavy Duty Trucks! Ok, I need a feature or some more info on that black 74-5 Grand Am, please. Very cool. What is the engine trans set up? BTW, agreed; what an awesome mix of vehicles. It wouldn’t hurt if more/most/all shows used this format. I would guess that you would not only get greater attendance over a wider demographic, but that it would expose attendees to machinery not normally seen, AND just maybe, spur new ideas for all varieties of builds. So much cool machinery. Thanks for covering this show!